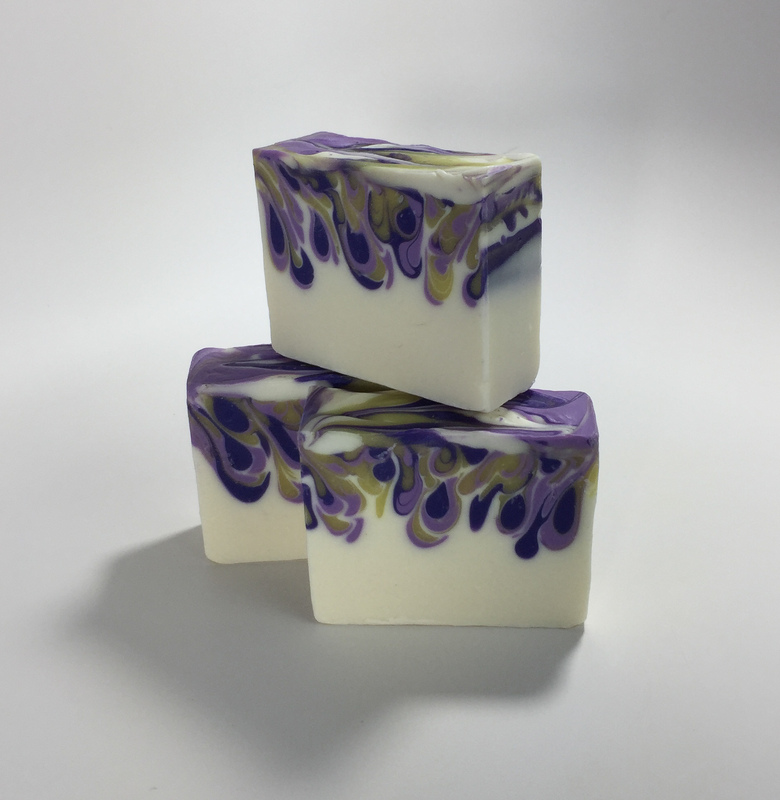 Your soap looks so lovely!! Despite all the setbacks from Florence and the Great Website Crash of 2018, I’m so glad you managed to get it made and posted! I love your color palette and the way the drops are so beautifully formed! Excellent work! It’s so fun to be back at it, isn’t it? Thanks Amy. I am so glad you decided to restart the challenges. This is gorgeous, Bonnie! I am in absolute love with your color choices. Your drop swirls are perfection, too! I also have to say, it was a pleasure meeting you at the conference in Atlanta this year! Thanks Debi. It was great to meet up with you too. It really is fun to see the people you have been talking to and following o line for years. 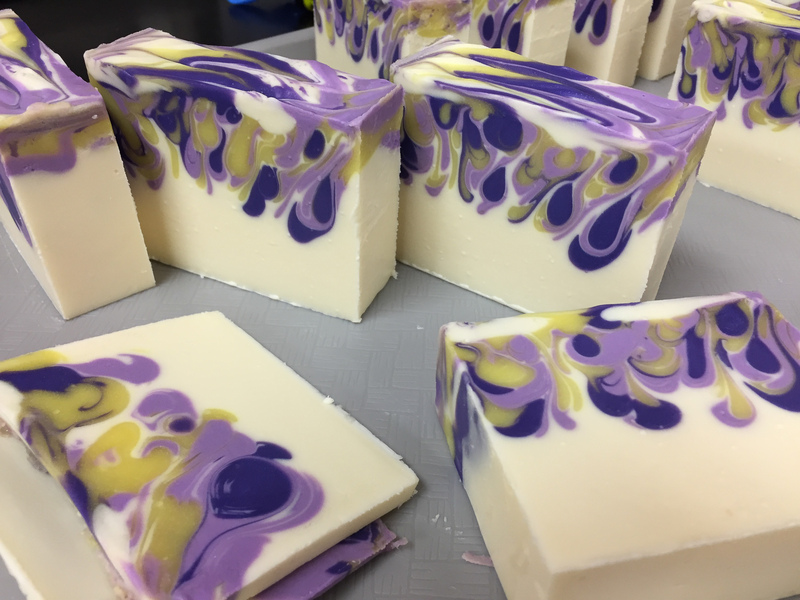 Beautiful choice of color on your soap! Very pretty!! Love the colour combination!! Just beautiful!! Love the colours you have chosen. Super pretty and delicate, gorgeous colours and fragrance choice! This came out so pretty & I bet it smells great!! Love the color choices you used for the scent. Your soaps are so beautiful! The mini drop swirls are just perfect, and I absolutely love your colors! This certainly was a difficult technique – your’s came out lovely. The colors really work well together and your drop swirls are so playful. They provide a lot of movement to the design. Just beautiful! Thanks Gwenn. You are right it was a challenge – my first attempt was a huge disappointment. 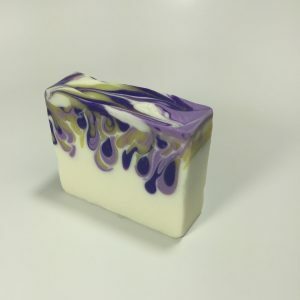 Lemon Lavender…yum! This is a truly beautiful soap!